YouView is a smart TV set-top box platform in the United Kingdom, developed by a partnership of three telecommunications operators and four broadcasters. 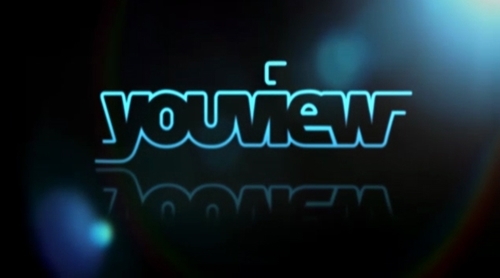 YouView provides access to free-to-air Digital Terrestrial Television channels (both DVB-T and DVB-T2 channels in common with the Freeview television platform) and to TV on demand (catch-up TV) services via a ‘hybrid’ set-top box purchased by users, connected with both a broadband Internet connection and a normal television aerial. No contract is required, and there is no subscription charge. Catch-up and on-demand content is delivered over the Internet, which may be chargeable by the Internet service provider (ISP) or subject to limits and fair usage clauses. BT and TalkTalk have each partnered with YouView, allowing BT Subsidiaries BT TV & Plusnet TV and TalkTalk Plus TV customers to access the service, along with BT’s and TalkTalk’s own offerings. Both companies provide customers with their own branded YouView set-top box. 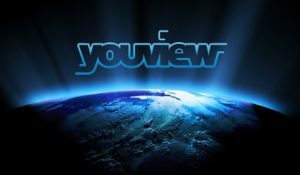 A YouView box cam be purchased on its own from most major electronics retailers such as John Lewis, Currys, or Argos, the box itself can be a bit costly. Or as part of a package from BT or TalkTalk. For YouView alone, all you need is a YouView set top box, a TV, and an aerial socket – and a broadband connection if you want to watch catch up and on demand TV. The broadband connection needs to have a minimum download speed of 3Mb, that is just for basic on demand. For more demanding content, such as HD programmes, it will need to be even faster. TalkTalk Boosts require 5Mb, for instance, and BT Sport needs at least 6.5Mb. Faster speed will mean better service and less loading time. Remember to think about your monthly download limit, if your broadband contract has one. An hour watching catch up TV will consume around 1GB of data, this can easily add up when watching catch-up services. Look out for the slower speeds you get at peak times too, especially if your provider manages web traffic. The YouView hardware is a Digital Terrestrial Television DVB-T2 HD box that provides viewing and recording of all free-to-air standard-definition channels available on digital terrestrial television in the United Kingdom. There is no access to channels provided by Vision TV Network, as YouView lacks support for the MHEG-5 Integration Channel used by these channels to provide them over IP. Additional content is provided over a broadband connection and can be accessed via the EPG, with a search function. As of February 2014 there were six TV players available providing access to TV programmes and films. The on-demand players available are BBC iPlayer (free), All4 (free), ITV Hub (free, ITV plc owned regions and UTV region) and STV Player (free, STV Group owned regions), My5 (free), Milkshake! (free, children’s programming from Channel 5), Now TV (paid for, premium movies) and UKTV The UKTV Channel selection includes; Dave, Really and documentary based channel Yesterday. UKTV provides a seven-day catch-up service on YouView for its free-to-air channels Dave, Really, and Yesterday. The service provides backwards-EPG and a unified UKTV on-demand player. Quest, a free-to-air channel from Discovery, launched its seven-day catch-up service on 9 October 2014. As with the other players, you can scroll back in the guide or access it from the on demand menu. TalkTalk and BT users will find this on the second page as an extra space is filled by the BT or TalkTalk Player compared to retail users. Subscribers to BT Broadband can access additional content through the BT Vision Player. The customer can subscribe to BT Vision on a 12-month minimum term, receiving a Humax YouView Box in exchange for a connection and delivery charge. If the customer supplies their own YouView box, they can sign up for BT Vision on a pay-as-you-go or monthly basis instead. The additional linear channels available to BT Infinity subscribers (“Extra” channels normally received on a Vision+ box), and BT’s new sport channels, could be received on YouView from 2 August 2013. A free YouView box is provided to TalkTalk Plus or Essentials customers taking out a fixed term contract and allow access to the content previously available from TalkTalk TV. Content that TalkTalk provides, such as film rentals & box sets, are available from the TalkTalk Player application within the YouView menu bar. In the TalkTalk Player, there are ‘boosts’ that customers can buy for a minimum of 1 month and customers can watch and record them from the main guide the same as Freeview channels. These boosts range from Sky premium channels, sports, TV box sets, films and foreign language channels. TalkTalk use their own brand of Huawei boxes, with the TalkTalk logo on the front, a remote control with a direct button on the TalkTalk Player, and a 320 GB hard drive for Plus TV customers. Essentials customers cannot record, but can still pause live TV. Unlike BT, you don’t need a fibre package. On-demand players are available to all customers that have a YouView box connected to broadband. Players vary as rentals, on demand, subscription and catch-up. On 14 April 2011, YouView published its final core technical specification. Humax DTR-T1000 (launch date 24 July 2012). Humax DTR-T1000 with BT brand (launch date 1 September 2012). This includes the BT brand and an extra menu item “BT Vision”. Humax DTR-T1010 (launch date 19 March 2013). The functionally and hardware is exactly the same to the previous DTR-T1000 with different appearance. Humax DTR-T2000 (launch date 14 June 2014). Minor redesign and slightly smaller than the previous T1010 design. Humax DTR-T2100 with BT YouView+ brand (launch date 25 February 2014). Redesign which is significantly smaller and quieter than previous Humax Youview boxes (because power transformer at plug). Humax DTR-T2110 with BT YouView+ brand. Huawei DN360T with TalkTalk brand (launch date 5 March 2013). No recording is available. Huawei DN370T with TalkTalk brand (launch date 5 March 2013). Recording is available. Huawei DN371T YouView+ (launch date 5 March 2014). Huawei DN372T with TalkTalk brand. Recording is available. Note 2: Each Youview box does not have support for Wi-Fi and must connect directly to the router or through Power-line adapters. YouView have not allowed Wi-Fi in their software, so USB Wi-Fi dongles will not work – however YouView suggest the use of a third-party (not supplied by YouView) Wireless Ethernet Bridge product may work, see YouView support for updated information. Note 3: Youview+ has become the designated way to show the box records TV. This is because of services offered by TalkTalk.